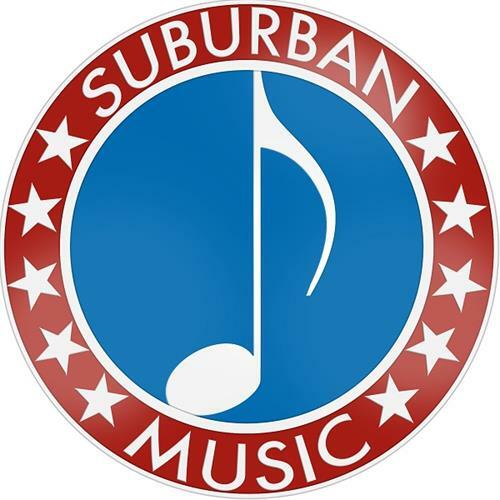 Suburban Music was established in downtown Wheaton in 1996 as an independently owned, full-service music center. Under the management of Paul Rodriguez since 2012, Suburban Music was awarded Downtown Wheaton Association's People's Choice Award in 2013. Paul holds a BM in Music Business from Elmhurst College, and began teaching guitar, bass, piano, voice, and ukulele at Suburban Music in September of 2000. Suburban Music's strong foundation in private study informs our retail store of instruments, accessories, and sheet music to offer our students and our customers in our very musical community. Suburban Music has 12 teachers on staff, all of whom are professional performers with music degrees. We also employ the skills of 3 luthiers, 2 guitar technicians, 2 retail employees, an electronics repair service, and an instrument repair service. Suburban Music offers band and orchestra rentals of new and refurbished high quality instruments - for lower prices than school rental programs. Affordable private lessons on all instruments and voice cost only $25 for 30 minutes, group classes start at $10. Our popular Rock Band Program includes a 90-minute full-band rehearsal each week, followed by a concert performance at a real rock venue. 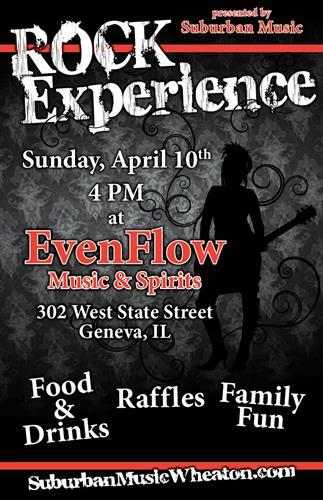 Suburban Music students enjoy a 20% discount in the store, and have several performance and recital opportunities throughout the year. Lesson and rental fees are payable at the beginning of each month. Suburban Music accepts all forms of payment & offers a secure Autopay option for lessons and rentals. From Main St: Head West onto Wesley St, Turn Left on Wheaton Ave, Turn left on Front St, Arrive 210 W Front St. From Roosevelt: Head North onto West St, Turn right on Front St, Arrive 210 W Front St.